Tamika Harris has studied traditional Central and West African dance at the renowned Malonga Center for the Arts for two decades. Tamika Harris learned under the instruction of the late Great Malonga Casquelourd and the late Great Mohammed Kemko Sanu. Tamika Harris joined and performed with Fua Dia Congo traditional Congolese Dance company, and for several years Tamika Harris performed and participated in lecture demonstrations through out the Bay Area and state. Shows consisted of: community festivals, private parties, wedding ceremonies, graduations, baby showers, fund raisers, publicize camp workshops and etc. Lecture demonstrations consisted of: College Ceremonies, Elections, and Special Organized Community events. Tamika Harris broaden her studies and joined Ceddo West African Dance Company led by Allhassane Kane, there she began training Senegalese style dance, song, and music. Tamika Harris deepened her West African dance experience by joining and performing in Bantaba West African Dance Company lead by Moseh Milon Sr. there she was introduced to Guinea and Liberian Style dance. 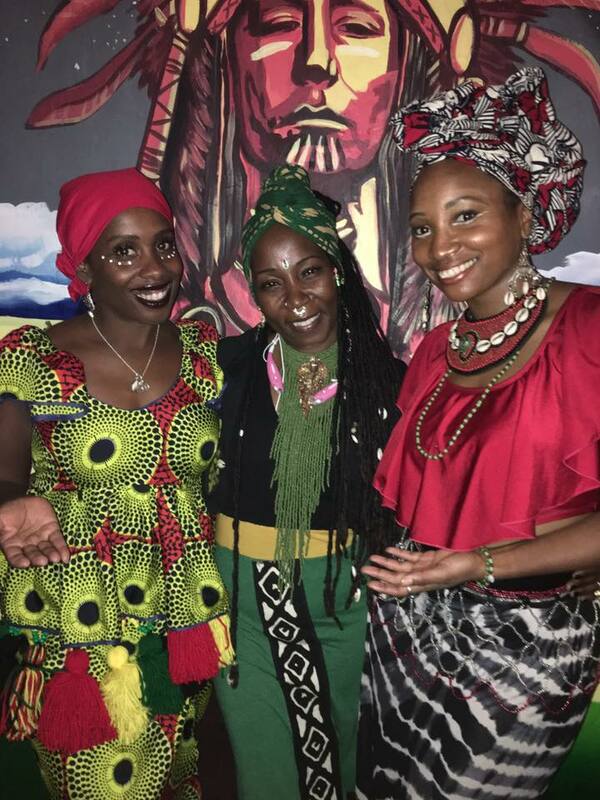 Tamika Harris traveled along side Moseh Milon and was introduced to communities across the state that preserve the tradition of West African Dance. Tamika Harris partnered with Alseny Soumah and began an extensive training of Guinea West African dance and Culture. Tamika traveled to Guinea West Africa several times to study more intensely in traditional style and ballet style dance. Upon her travels to Guinea Tamika Harris was presented a certificate of completion from the National Les African. Mohammed Kemko Sanu invited Tamika to perform with then his renowned Merveilles D’Afrique in a huge performance called Lahydi. Tamika then toured Senegal with the twins Ousseynou and Assane and performed at the Sorano National Theater. During her travels in Senegal, Tamika attended Thiossane night club in Dakar and was invited on stage to dance a solo along side the World renowned artist Youssou n’ dour. Upon returning from Senegal Tamika joined Diamano Coura West African Dance company led by Dr. Zakariya Diouf and Naomi Gedo Diouf. Tamika then received training in Liberian, Guinean, and traditional Senegalese style dance. Tamika began performing for weddings, school events, and fund raisers through the Bay Area, and traveled out the country to Italy and Mexico. Tamika Harris was encouraged to began her studies in Afro Haitian dance. Tamika was invited to join Rara Tou Limen led by Portsha Jefferson and musical directer Daniel Brevil. Tamika traveled to Haiti with Daniel Brevil there she received training in Vodou, Haitian Culture, Dance, Song , and Drum. Tamika received a certificate of completion from ENARTS Foundation Daniel Brevil.